Mothers are often busy juggling work, house chores and taking care of their kids. Appliances like washing machines and dryers can be their best friends that lighten the burden of work. But how can you tell which washing machine is right for you? Mothers are some of the busiest people on earth. They have to juggle so many roles, and wear so many hats. Much of their time is spent balancing work, house chores and taking care of their kids. It’s a thankless job, and it’s definitely not easy! There’s no question about it: Mums sure need help. Her family’s appreciation and unconditional support are priceless, but there’s nothing like someone doing the heavy lifting for mum. Appliances like washing machines and dryers can be mum’s best friends that lighten the burden of work. These days, the market is flooded with all sorts of gadgets. That’s why when it comes to buying an essential household appliance like a washing machine, it’s important for you to learn to distinguish a high quality washing machine from a poor quality one. Given the range of models, styles and sizes of washing machines, there are many things you need to consider. Cost, installation requirements and technical specifications are all factors that will determine your buying decision. The following tips will help you to buy the right washing machine for your home. 1. Washer Dryer or Washing Machine? This is one of the key questions: should you buy a washing machine that washes your clothes but requires you to dry them separately on your own? Or should you buy a washer dryer that performs both the functions automatically? Washer dryers are useful if you don’t have much space in your kitchen or laundry area. However, they are not suitable for large families who want to use the machine to do all of the drying. This is because the dryer part usually has a reduced load size. You will need to remove some of the wash before using the dryer. And that means you will use the dryer multiple times for every load you wash.
Washer-dryers are also more expensive than buying a washer and a dryer separately. 2. Top Load or Front Loading? What should your washing machine be: a top loading one or front loading one? Both are good options and it totally depends upon your choice and comfort level. For example, some users find the traditional top-loader more comfortable to load. It’s really up to you! 3. How Big Should the Load Be? This depends on the size of your family. For large Indian families, you can choose the 7-11kg range of machines. For smaller families, machines with 5-6kg load should be fine. 4. What Should the Drum Size Be? The capacity of a washer is indicated by the size of the interior drum (measured in cubic inches), which varies from brand to brand. For a large family, go for a full-size or oversize top or front-load model. Compact front-loaders have small or medium capacities and vary in size from 24" to 26". Most washers are generally 27" to 30". You should measure the installation space before shopping for an appliance. 5. Where Should You Install It? Most washers require plumbing installations. They either sit in the bathroom or kitchen area, connected via an adapter to the kitchen faucet. You should check with a plumber before buying a washer if your home is not washer-ready. Other than the tips mentioned above, there are some more factors to consider too. For example, you should check how energy efficient the machine is. For that, you should look at the machine’s energy efficiency ratings (EnergyStar rated washers are excellent). Do you like bold colours or neutral hues? Look for finish options that you find aesthetically pleasing. It can help to make laundry time less of a chore. Also, look at the appliance’s washing performance and cycles. 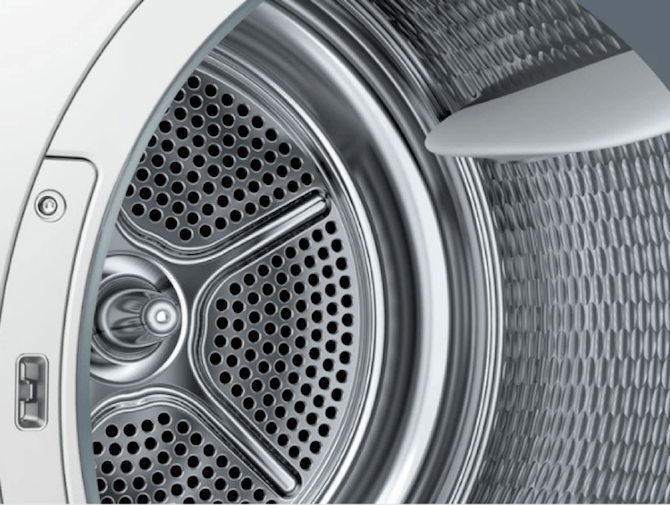 For example, traditional top-loading washers have fewer washing cycles and shorter wash times. So, there are pros and cons for any model you go for. Other advanced features to look out for include steam, delay wash, stainless steel non-rusting washer tub, extra rinse, pre-soak, dispensers for softener and bleach, and end-of-cycle signal. Some models have automatic self-adjusting water temperature and level features. One brand of washer dryers and dryers that has taken the market by storm is Bosch. Globally-renowned appliance manufacturer Bosch has a line of Dryers and Washer Dryers that are perfect for every family. Bosch’s washer dryer is one-of-a-kind that can wash while protecting the colours of your clothes. It saves time without compromising on the drying results. 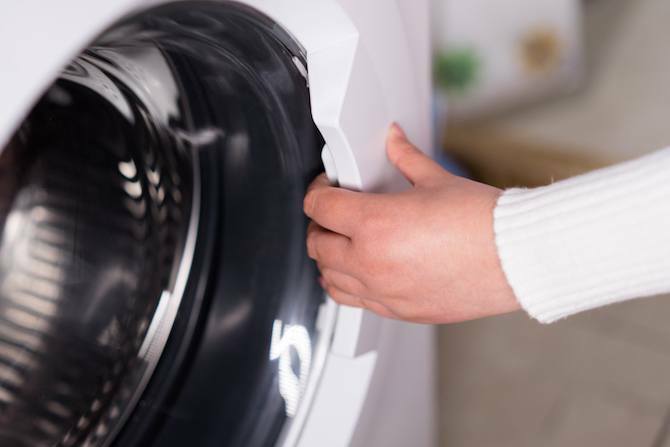 For faster drying, they have even created a vented tumble dryer, which simply draws in air from the room, heats it and blows it through the clothes as the drum tumbles them. With vented dryers, your washing dries fast in a process that is efficient and economical. Bosch’s dryer is clever as it uses DuoTronic Technology: It detects the moisture and regulates the heat accordingly. The dryer senses when your clothes are perfectly dry, and stops the drying process automatically. It also selects the optimum temperature and drying cycle so as not to damage any of your fabrics. Isn’t that amazing? With Bosch’s Sensitive Drying System, your clothes are dried in an exceptionally efficient and caring drying environment. The large drum with a unique textured surface ensures greater care of even the most delicate fabrics, improving the airflow and keeping the laundry raised from the surface of the drum, safe from harm. Their condenser tumble dryers are economical, and extremely simple to use. The moisture extracted is automatically collected in a container. All you need to do is plug your Bosch Dryer in a socket. This feature is sure to be every mum’s favourite: An Anti-Crease Cycle in the dryer reduces your ironing worries. Its gentle drum action automatically separates and smoothens your garments for 60 to 90 minutes, giving your clothes a wrinkle-free and ready-to-go look. What’s more, Bosch has a drying programme for every fabric. 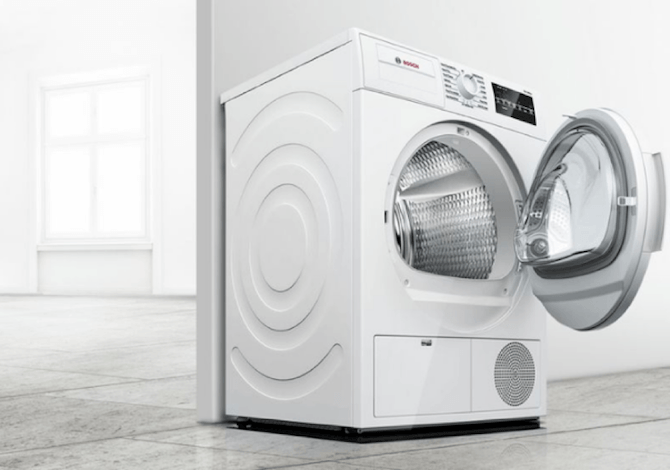 Bosch Dryers feature a list of special programmes designed to make life easier. So mums, with the right washing machine, you can leave all of your clothes-related worries aside. Let the machine take care of your clothes, and save your precious time and energy, giving you the freedom to enjoy the things that matter more. 7 Things most of the women are not aware of in their own bodies!